Conversation with Local Gardeners meets monthly on the second Saturday of the month at 10:00 am. Bring your questions and ideas to this informal group of local expert garden enthusiasts. This group is free, open to all and requires no prior registration. Celebrate the 10th anniversary of this great party that kicks off the library fair weekend. 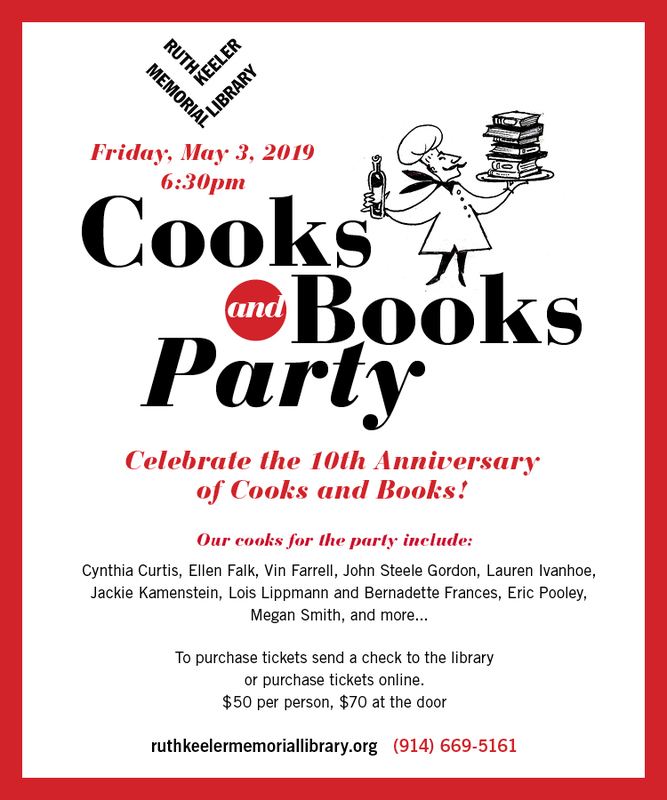 Beer and wine, hors d’oeuvres prepared by some of North Salem’s finest chefs and great books for sale. Tickets are $50 per person if purchased in advance or $70 at the door. Due to an unfortunate scheduling conflict, we have had to postpone Casino Night originally set for Saturday, February 23, 2019 at the Salem Golf Club. However, as we had so many supporters, we have rescheduled the event for Saturday, June 22, 2019! Tickets are still available. Click here to purchase them. Save the weekend for this three day library event! 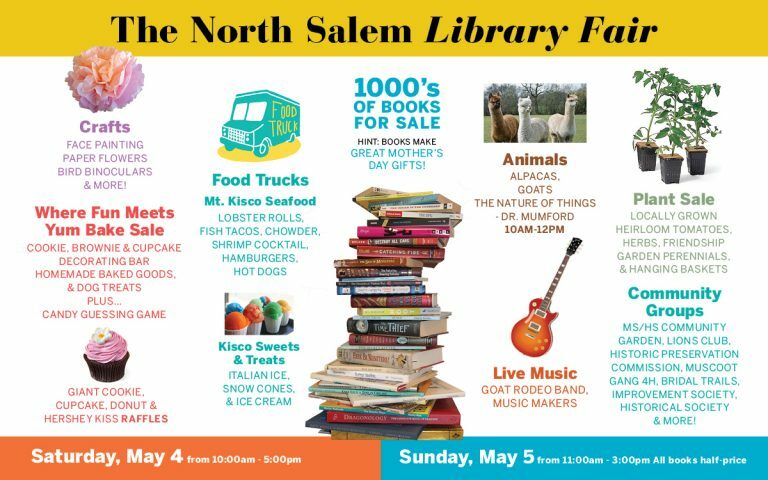 The Ruth Keeler Memorial Library is an educational and cultural center for the North Salem community, serving its residents from infants to senior citizens with print and multimedia resources as well as enriching programs.